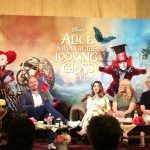 When James Bobin (The Muppets, Flight of the Concords) came on as director for Alice Through the Looking Glass, his job was never about trying to replicate what Tim Burton did in the first film nor was it about trying to copy Lewis Carroll’s novels word-for-word. For him, it was about bringing the spirit of the original stories to life while implementing his own flair in order to entertain audiences. It is easy for filmmakers to fall into the trap of trying to perfect or replicate the source material because they offer so much material to be drawn from. When you are faced with that kind of temptation, it is hard to let it grow into its own unique thing. 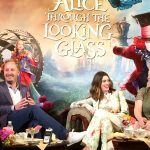 Bobin easily breaks past this with the original story crafted for Through the Looking Glass and delivers a fun and unique story that can easily resonate with audiences. Disney’s Alice Through the Looking Glass brings us back to the magical and topsy-turvy world of Underland three years after the events of Alice in Wonderland. Alice’s journey in the first film was about believing in the impossible and discovering how to express herself as an open-minded and spirited woman in an oppressive society, but Through the Looking Glass isn’t afraid to show that Alice still has plenty of lessons to learn despite coming into her own. The story pits Alice against Time, played by Sacha Baron Cohen, as she travels to the past in an attempt to save the Mad Hatter from dying. Although Alice has gained an inner strength that allowed her to become the captain of her father’s ship, she has yet to learn about the inevitability of time and what kind of inner strength can be found from the changes brought on by time. This film is not just about honoring the vision and creativity of Lewis Carroll’s novels, but about presenting strong female characters that are able to grow and learn from the struggles that they constantly live through. 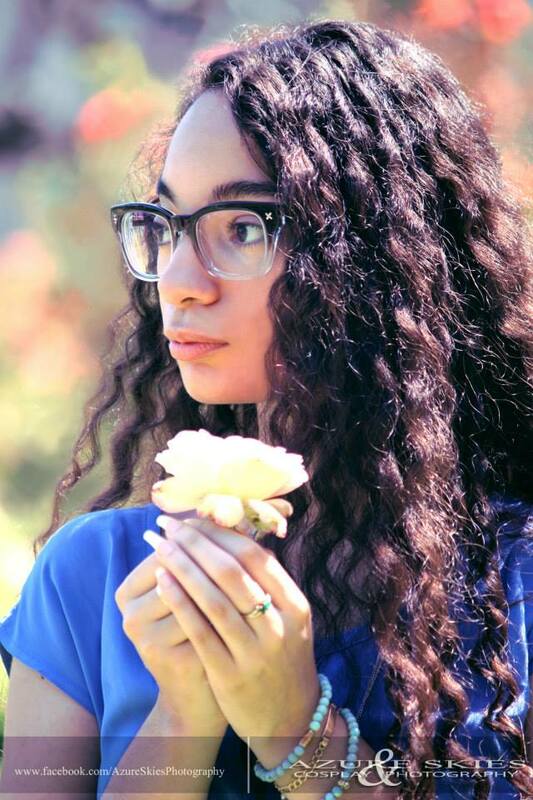 Alice grows as she sees the events of the past unfold, and as she is faced with the reality that some events cannot be changed and even comes face-to-face with the limitations society has set upon her as a woman. Despite all of the opposition she faces during her journey in Through the Looking Glass, Alice becomes a champion for challenging the status quo imposed on women in society. Early in the film she is teased by members of high society due to her independent and creative expression of herself, and later on during a scene where Alice is brought into a mental asylum, she is called “excitable,” “delusional,” and diagnosed with “female hysteria”. Alice uses what she learned as a ship captain taking on pirates to break herself out of the asylum, presenting a powerful moment that shows that no woman should have their independence taken away from them. In a film breaking away from the expectations born from the original Lewis Carroll fantasy novels and taking back the narrative of women by presenting female characters who are dynamic, affecting and empowered, Alice Through the Looking Glass proves to be a film that can carry itself and is defined by what it is rather than what it is based upon. 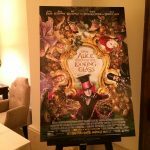 Alice Through the Looking Glass starring Mia Wasikowska, Johnny Depp, Anne Hathaway, Helena Bonham Carter, and Sacha Baron Cohen releases in theaters this Friday on May 27th. Previous story June 11th is officially Speak Like a Whale Day!